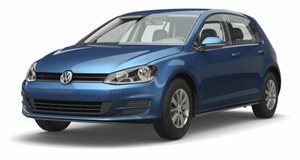 Volkswagen is actually putting it into production. We were huge fans of the Volkswagen I.D. Buzz Concept that was unveiled at this year's Detroit Auto Show. This all-electric, fully autonomous concept car was meant to tap into the spirit of the iconic VW Microbus. The Microbus was the perfect car for Hippies in the '60s and Surfers Dudes of all decades. For years these people have had no modern means of transportation that had the same feel as the old Microbus, until today. Much to our surprise, Volkswagen has decided to set a launch date for a production version of the I.D. Buzz. Volkswagen says that the vehicle will arrive in dealerships in 2022 after a four-door I.D makes its debut. The bus will be targeted for North America, Europe and China, so we will actually get this car in the US. The bus will be part of a new range of electric vehicles from VW. Volkswagen just showed off the I.D. Buzz at the Pebble Beach Concours d'Elegance in California. "After the presentations at the global motor shows in Detroit and Geneva, we received a large number of letters and emails from customers who said, 'please build this car’,” Volkswagen CEO Dr Herbert Diess said in Pebble Beach. The Board of Management chose Pebble Beach as the location to make its announcement because, as Diess explained: "The Microbus has long been part of the California lifestyle. Now we're bringing it back by reinventing it as an electric vehicle."